If your business hauls a lot of grain, then you’ll want to make sure you have the right hopper trailerin order to transport your load properly. So, just what is a hopper trailer? 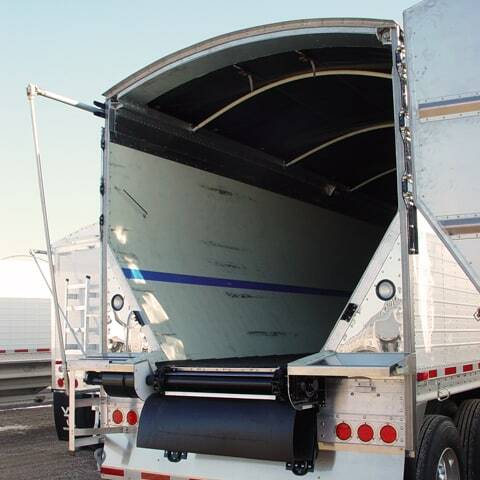 These special trailers have a rolling tarp on top that allows you to easily load grain and other agricultural products, and two hoppers to help with unloading. Not all trailers are created equal, so you’ll want to do your research before purchasing one for your business. 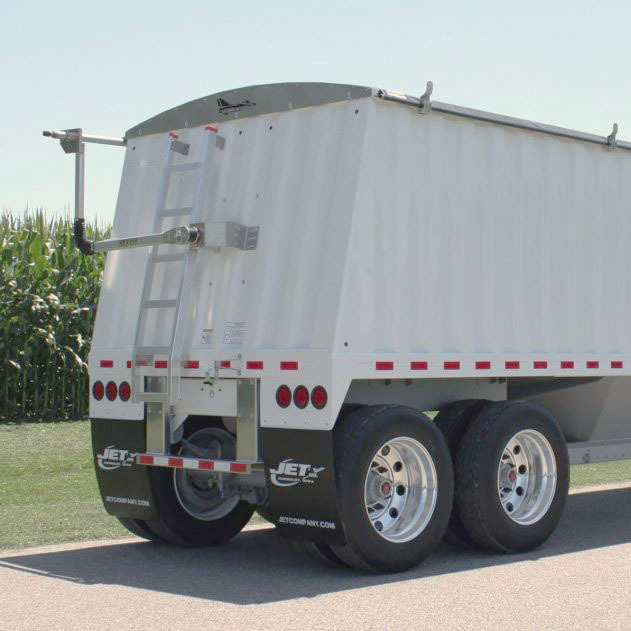 Here are five things to look for in a hopper trailer. Capacity is likely the first think you should look at when considering a grain hopper trailer. Ask yourself how much product you plan to haul and choose a size that meets your demand. Also consider the value you’re getting. A trailer with a larger capacity may be more expensive, but it may give you a better bang for your buck and allow you to expand your business in the future. The weight of the hopper traileryou choose will largely depend on the type of truck you plan to use to haul it. Heavier trailers will require larger trucks to haul them. In fact, each truck has a legal limit they’re allowed to tow. So, make sure you know the specs of your truck and the weight you’re able to tow before choosing a trailer. The ground clearance of your hopper is another thing you’re going to want to consider. The greater the clearance the easier it will be to unload your grain hopper trailer, as you’ll have more room to manoeuvre your swing hopper underneath. Make sure you know the dimensions of your swing hopper beforehand so you can be sure you’ll have enough clearance. When looking into a new grain hopper trailer, make sure to enquire about the suspension. A good suspension system will result in a smoother ride, less noise, and better maneuverability while you’re on the road. Suspension systems with a high amount of rigidity will give you the best results. Finally, ensure that the hopper traileryou decide to purchase has a manufacture’s warranty. Trailers have a lot of moving parts, which means there are a number of things that can go wrong. A manufacturer’s warranty will give you peace of mind and could also save you a substantial amount of money if you run into any issues down the road. We’re always happy to hear from our customers. If you have any questions about hopper trailers, or any of our other products, please reach out to us. Our knowledgeable team will be happy to speak to you and provide you with advice.